Phyllis J. West, 70, 442 Poplar St., West Union, Ohio, formerly of Sidney, Ohio died at the Adams County Manor in West Union on Monday, May 22, 2006 at 5:35 AM. She was born August 29, 1935 in Adams County, Ohio the daugther of Orly and Edna M. (Crabtree) Hilterbran. She moved to Sidney in the 1950&#39;s from Adams County. She married James R. West on June 5, 1954. He died August 31, 2002. Surviving are two children, Debbie Swineford and husband Brian of Sidney, Ohio and James West and wife Ashley of West Union, Ohio; one grandchild and several brothers and sisters. One sister and two brothers are deceased. 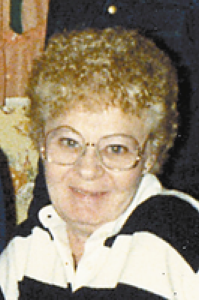 She was a member of the Port Jefferson United Methodist Church in Port Jefferson and was a nurse&#39;s aide at Dorothy Love Retirement Community, Sidney, Ohio. The body will be cremated and there are no services.